In The Anthology’s Wear/Where column, we celebrate the parallels between what you wear and where you live. 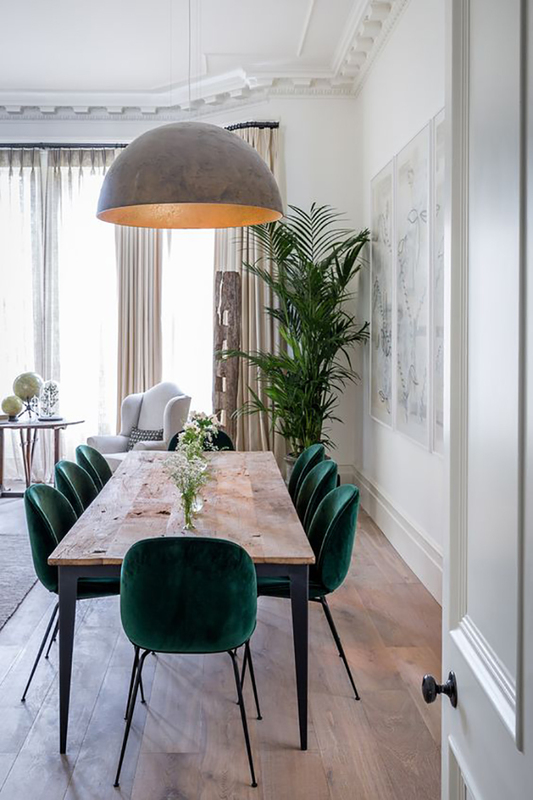 …that perfectly matched your emerald velvet chairs, would that be a major yay or no way, bébé? Wear: Green velvet dress by Ulyana Sergeenko. Where: Interior design by Kitesgrove.